The kids are all grown up, off to college, and officially out the door. 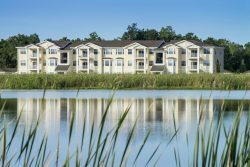 If you find yourself wondering how to make use of free time and stay busy, Forest Properties has a few helpful tips for newly empty apartment nesters to adjust to their new lifestyle. From picking up a passion project, re-organizing your Florida apartment, or dedicating time to exercise, here are 5 ideas to help you own being an empty nester! Once your kids have packed up their belongings and loaded the moving van, you’ll quickly see how much living space you’re blessed with! Before you start to declutter, re-organize, and go on a cleaning frenzy, consider your child’s new lifestyle. For example, if they’re off to college but still plan to spend summers and long breaks at home, you’ll want to leave their stuff in tact. If the kids have officially moved out, congrats on your newfound space! Once your home is kid-free, you may start to notice pieces of furniture and room accessories that could use a facelift. Sounds like the perfect time to redecorate! Not only does redecorating bring a breath of fresh air into your home, but it’ll keep you busy. To start off, redecorate the room you spend the most time in. If your kitchen at The Lexington is a contender, treat yourself to new kitchen towels, placemats, and a dining table centerpiece from Home Goods. If you and your beau like to kick it back in the family room, a few fluffy throw pillows, new window curtains, and area rug will brighten up the place in no time. For outdoor lovers with a balcony of their own, treat yourself to a new bistro or patio set to freshen up your outdoor living space. Now that you have your Lake Lucerne Towers apartment all jazzed up with a new look, why not show it off to family and friends!? It’s easy to lose sight of your social life when juggling soccer practices and ballet recitals, but now is the time to do things with friends and relatives. Reach out to friends who you haven’t seen in a while and host a dinner party, luncheon, pizza movie night, or whatever your heart desires! For tips on how to prepare for overnight guests, check out our Guest Room Must-Haves guide. 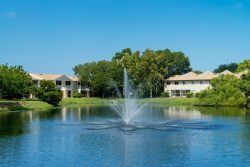 Many Forest Properties apartments in Florida provide community amenities that are great for entertaining. 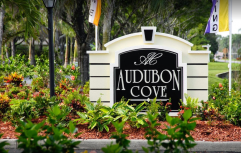 Audubon Cove, situated on 75 acres of conservation land, has swimming pools with lake views to take in the surrounding natural beauty of the area. Carving out time for you is very important – and fulfilling! A great way to get in touch with your creative side is to pick up a new hobby. Hobbies are usually the first things that are swept under the rug when life gets busy with kids, so now is the time to revisit them! If you love exercising, schedule time for yourself to visit the community gym or take a stroll around the complex. If you have a green thumb, check out our guide to container gardening to add a bit of greenery to your home. The list goes on and on, you have all the time in the world! One of the best things about having more “free time” is to do things you love – close to home. Whether it’s getting together with friends or picking up a new hobby, there’s always time to reacquaint yourself with the local area. Be sure to follow the Forest Properties Blog for weekly posts highlighting things to do in your local area, featured restaurants, and apartment living tips to get you up and out exploring! Do you have any tips to share with newly empty nesters? We’d love to hear your ideas on Facebook!